At one point in your life you will feel exhausted, bored and tired of your routine life. When that day comes, just step out of your comfort box, move away from your usual self and see your life from different perspectives. Travel! Head out to the endless horizon and discover the world, go places and meet new faces, explore to understand new cultures, and get lost to find the truest of yourself. In the end you will realize that traveling is not only about learning new cultures or meeting new friends or discovering new places, it also lets us discover our own culture, our limits, and ultimately… ourselves. It is a personal journey to self-discovery, because after all, it is only from the outside that we can look back in. Andy Summers is a backpacker, adventure seeker, son of a beach, hobbyist photographer, scuba diver, aspiring marine conservation biologist, environment advocate, runner, mountain biker, budget traveler, mountaineer and surfer wannabee. An Online Internet Marketer and Search Engine Optimizer on workdays, but on weekends and holidays he is most probably underwater or out-of-town. He started chasing sunsets, waterfalls and adventures since time immemorial and started blogging all his life experiences. He is a former radio personality of 90.7 Love Radio – Manila and a gig master. 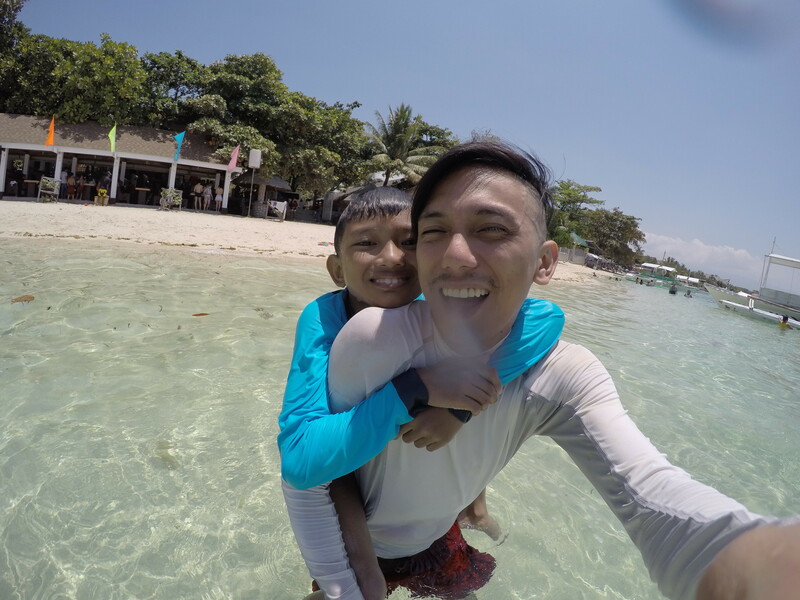 A proud single father to an awesome outdoor-loving son, Andrei Joaquin, who also loves to travel and discover new things in life, he started to focus on traveling most parts of the Visayas, the rest of his country – Philippines, then it became the world. At the moment he is a website designer, social media management and search engine optimization enthusiast and is currently connected to a US-based company as a Digital Marketing Strategist. His passion for travel has encouraged him to develop his own travel website where he showcases different destinations and provide how-to-get-there tips at a very affordable price. haha you are unpredictable, like lion who’s willing to eat his prey. Keep the flame of love burn inside you. Just keep the childlike faith and mature obedience and everything will go smoothly. thanks a lot for the message, jade! 🙂 it’s more like living life like there’s no more tomorrow. 🙂 thanks again! Thank you so much! This is so sweet of you. Please watch out for the re-launching of this website.